View from Fort Tiracol. Tiracol, Goa, India. From atop a hillock, we gazed at the shimmering waters of the Arabian Sea below. To the left, the Terekhol (Tiracol) river (hidden from our view) proceeded to its rendezvous with the sea. And beyond the river, in the distance, lay a clean sandy stretch of beach. We squinted our eyes and thought we saw a couple of tourists ambling along in the sand. Behind us, the fresh white paint of St. Anthony’s Church almost shone in the bright sunlight. A few minutes ago, we had crossed over from the picturesque Sindhudurg district in Maharashtra to a tiny slice of Goa. We were now at Fort Tiracol, located on a small hill at the mouth of the Terekhol (Tiracol) river. 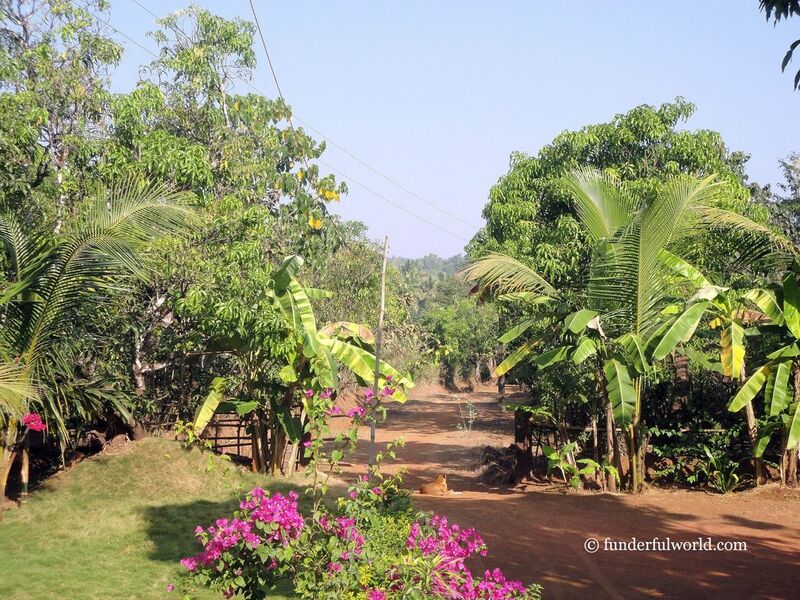 Terekhol (Tiracol) is a small piece of Goa at the southern tip of the Maharashtra coast. The fort has been converted into a heritage hotel property; a small area of the landmark is accessible to tourists. 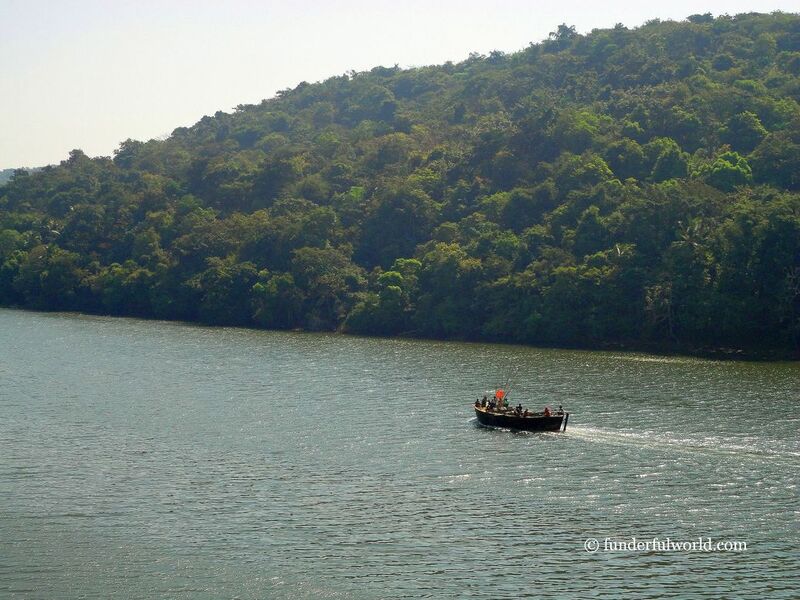 Across the river, on the other side, lie all the wonders of the beautiful state of Goa. Our vacation in Sindhudurg had been wonderful so far. 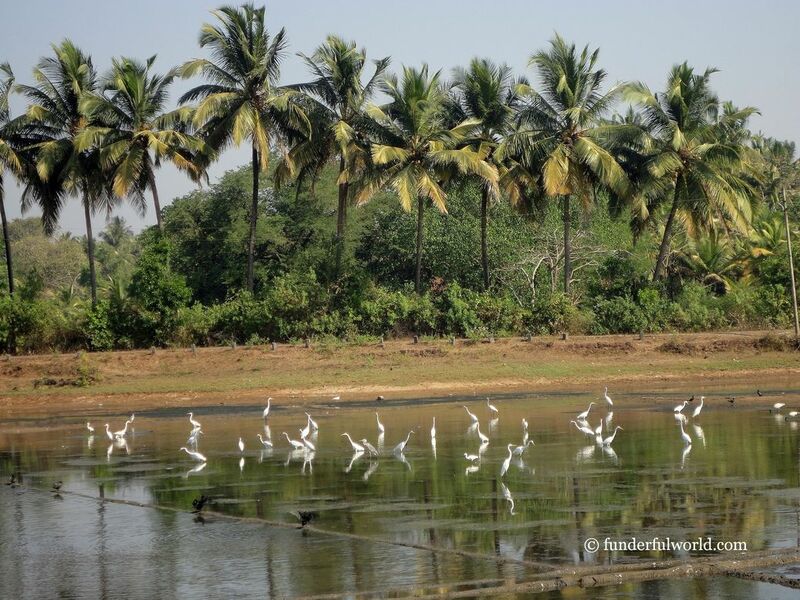 After exploring Tarkarli and its environs, it was time to head further south, toward Vengurla. The beautiful Karli river. From Sagari Mahamarg, Sindhudurg, Maharashtra. Moving on. The beautiful Karli river. From Sagari Mahamarg, Sindhudurg, Maharashtra. From Tarkarli, we drove to Malvan, and then followed the scenic Sagari Mahamarg toward our destination, Math village near Vengurla. En route, the bridge over the Karli river is a scenic vista point. The road is devoid of potholes and heavy traffic–just perfect for a long, calm drive. From there, we headed through forested stretches to the small village of Math (HURRAY for GPS!). Here, we stayed in a typical Konkani-style accommodation at Dhuri Homestay. The simple and beautifully furnished room, the pretty garden outside, the delicious homecooked local cuisine, and the wonderful hospitality of our host added up to make it one of our best homestay experiences. 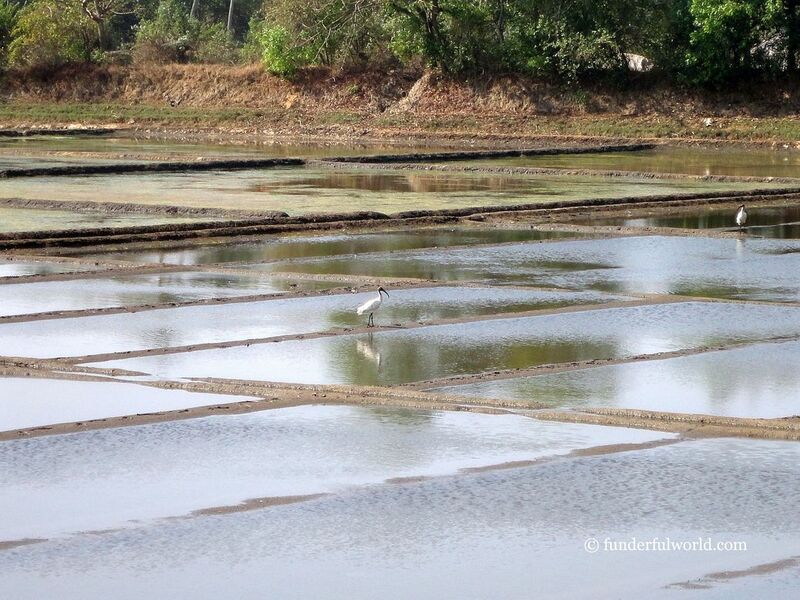 We spent the next couple of days exploring the region around Vengurla. We enjoyed a quiet village walk in Math, drove to Fort Tiracol via a scenic route, visited the Redi Ganpati temple on the coast, watched all the action in a cashew factory, and, as a grand finale, witnessed a beautiful sunset at Sagareshwar beach. Dhuri Homestay offered us the perfect opportunity to live and eat “Konkani style”. 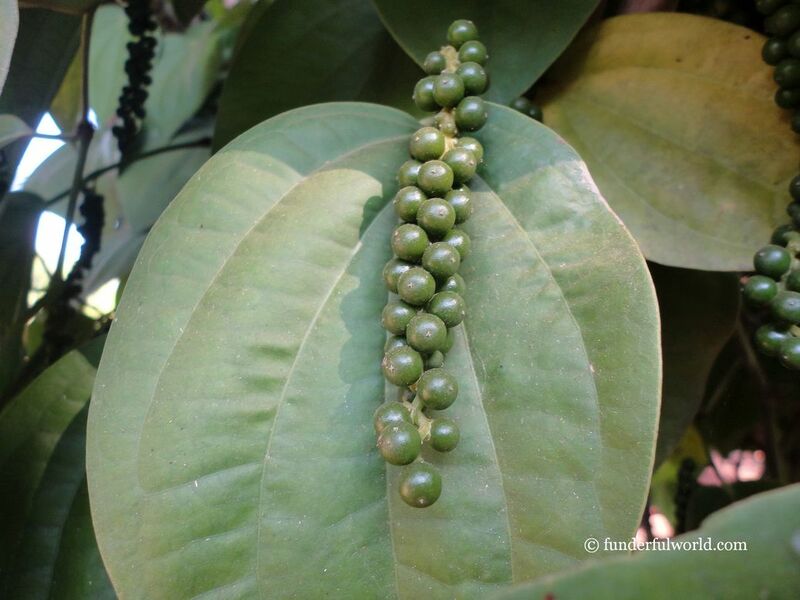 The comfortable rooms are built with local material, the verdant garden is dotted with bananas, pepper, and a host of other trees. 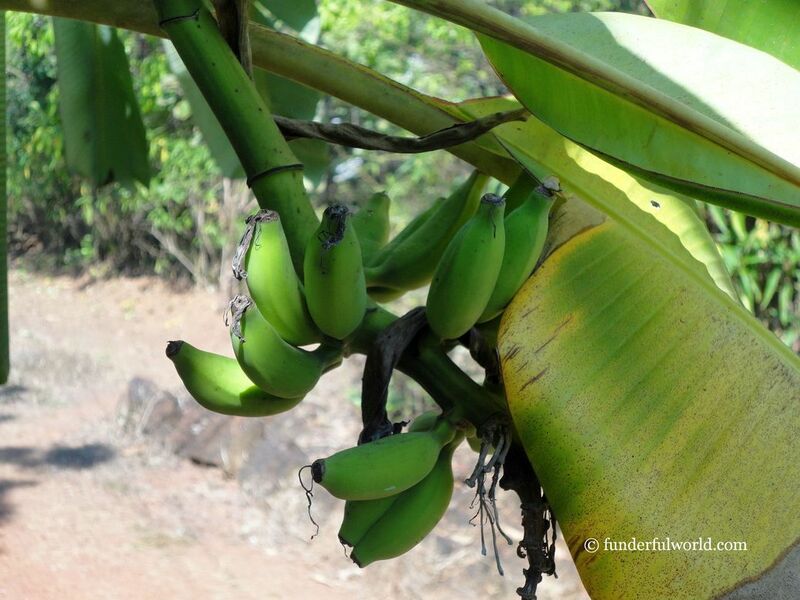 During our stay, we tasted a variety of mouth-watering dishes from the local cuisine including cashew curry, amboli, and several vegetables that are unique to the Malvan region. During a leisurely stroll through the village, we were excited to see a variety of birds and the typical vegetation in the area. A home away from home. Dhuri Homestay. Math village, Sindhudurg, Maharashtra. The garden at Dhuri Homestay. Math village, Sindhudurg, Maharashtra. Treasure hunt in the garden. 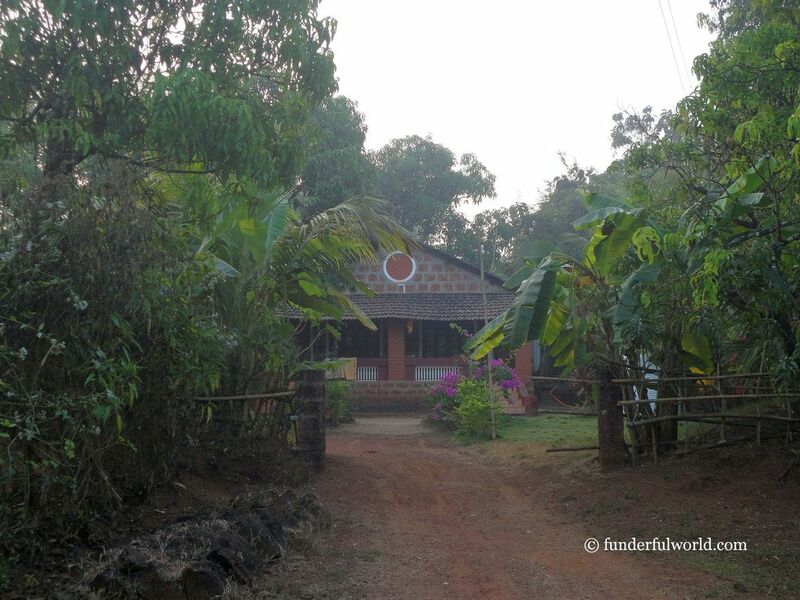 Dhuri Homestay, Math village, Sindhudurg, Maharashtra. Indulging in a healthy snack of cashew nuts is a simple affair. But there’s a considerable amount of work involved in bringing these nuts from a farm to our table. We found out the entire story during a visit to a cashew factory near Vengurla. I used to associate cashew only with Goa. Until our trip to Sindhudurg. Cashew production is high in this southern region of Maharashtra. And the process isn’t as simple as it may seem. I won’t spill the beans. Do visit a cashew factory in the region to learn more about the cultivation and processing of this healthy nut. If you enjoy the thrill of crossing borders (I do!) and entering new regions, you can “touch” the border of Goa. We ventured out beyond Vengurla to Fort Tiracol just across the border from Maharashtra. The route is scenic, and we halted often near fields that were popular hangouts for ibises. The small fort lies at the mouth of the Terekhol (Tiracol) river and offers a magnificent view of the Arabian Sea. On our way back, we stopped by at the Redi Ganpati temple, which is located in a mine-rich zone. A path behind the temple leads to a vista point–a must-do for the sea-view buffs (that’s US!). Egrets galore! The road to Fort Tiracol. Sindhudurg, Maharashtra. Ibis territory. The road to Fort Tiracol. Sindhudurg, Maharashtra. St. Anthony’s Church. Fort Tiracol, Goa. Near the Redi Ganpati Temple. Redi, Sindhudurg, Maharashtra. Of course, we couldn’t say goodbye to Sindhudurg without viewing a sunset over the Arabian Sea. And so, we found ourselves at Sagareshwar Beach near Vengurla one evening. A stroll along the beach, a rendezvous with some crabs, an attempt at building a fantastic sandcastle, and gazing at the varied hues in the sky at sundown–all these were a fitting finale to our vacation. Calling it a day. Sagareshwar Beach, Vengurla, Maharashtra. For a tranquil, refreshing seaside vacation, head to Sindhudurg–choose a beachside property or a unique homestay. And create precious memories.